When your business is keeping the party going you need a memorable logo to build your brand and communicate what you do to clients and partygoers alike. 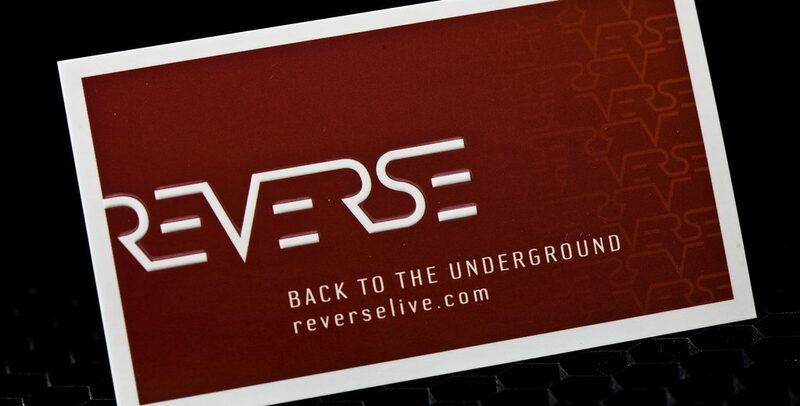 ReverseLive is a group of artists and promoters specializing in events featuring Underground House and Underground Tech music. 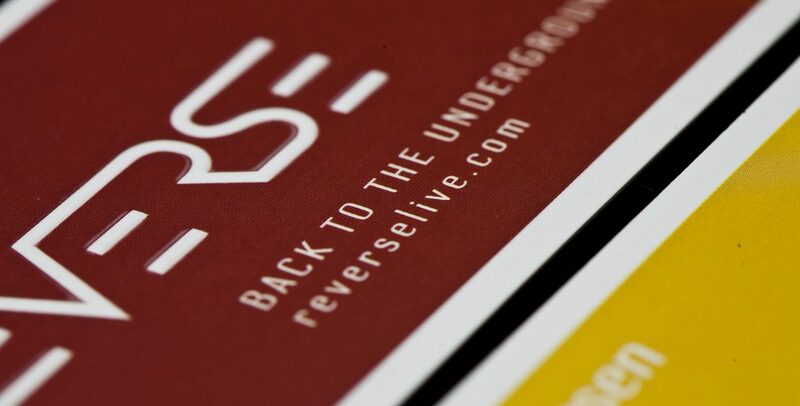 The Reverse logo uses a font with open letter E’s and connecting letters to create a dynamic sense of movement. One side features the logo, embossed in white on a dark red background. The solid color of the background fades into the logo in lighter red as well. The opposite side has the embossed words on a gold background. 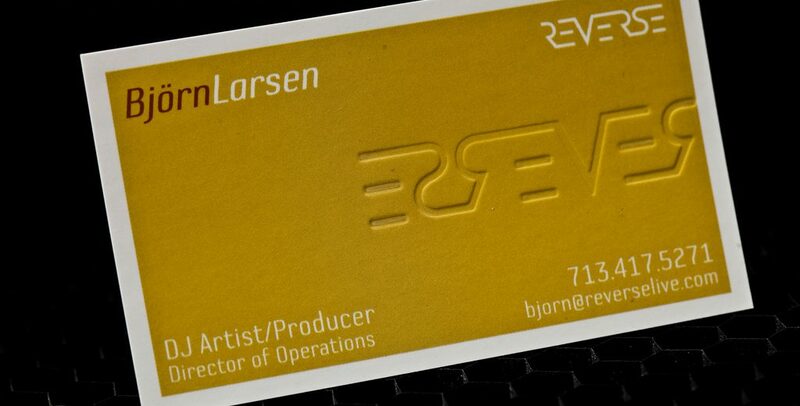 The cards are printed on card stock with a slick matte finish.